This is a staple for almost every workplace, as it provides you with a secure way to store files and other sensitive documents. 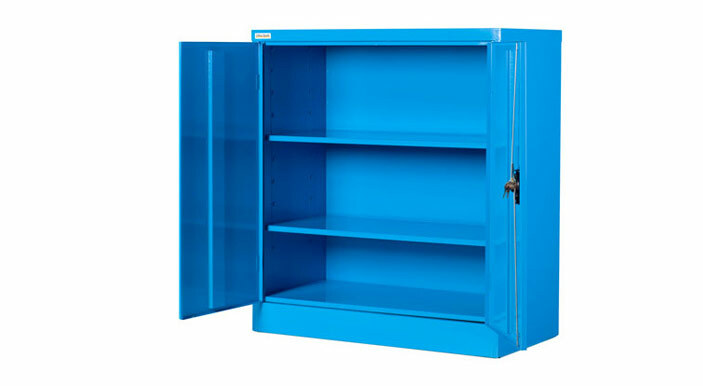 Melamine or metal storage cabinets are available for consistency with other storage solutions in the office fitout design. Every workplace has a number of items that need to be stored properly for easy access and to reduce clutter, such as stationary, folders, files etc. Hinge door cupboards are available in a range of heights, from waist high through to head high, to ensure that your storage needs are met. When it comes to individual employee storage, pedestals are a fantastic option. 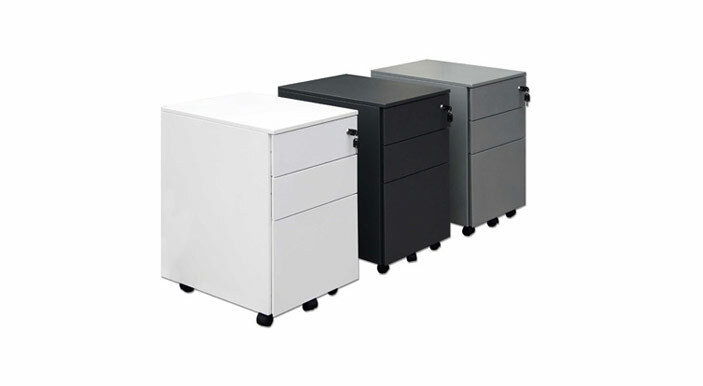 Mobile pedestals are a flexible desk storage solution that are available in a 1 + 1 (1 personal draw and 1 file draw) or a 2 + 1 (2 personal draws and 1 file drawer). Mobile pedestals are available in both standard and slimline sizes, ensuring that they slot underneath the desk with ease. Whilst they can be used for a variety of applications, lockers are most commonly used as a place for employees to securely store their own personal possessions. 1, 2, 3 and 4 tier lockers are available. 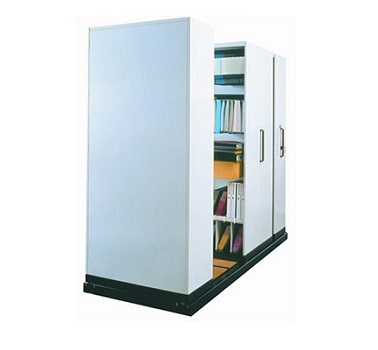 Caddies are designed to be used under a rectangle workstation as a larger storage device than a mobile pedestal. 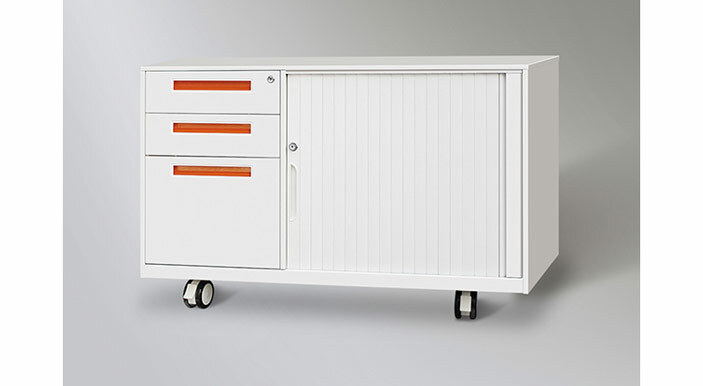 The Caddy features a 2 + 1 drawer combination along with an additional tambour or open shelving section for further storage. Upholstered seat toppers are also available so the Caddy can be used as a workstation collaboration seat. Mobile Storage units also known as compactuses are a great way to store archive boxes, files and stationary. 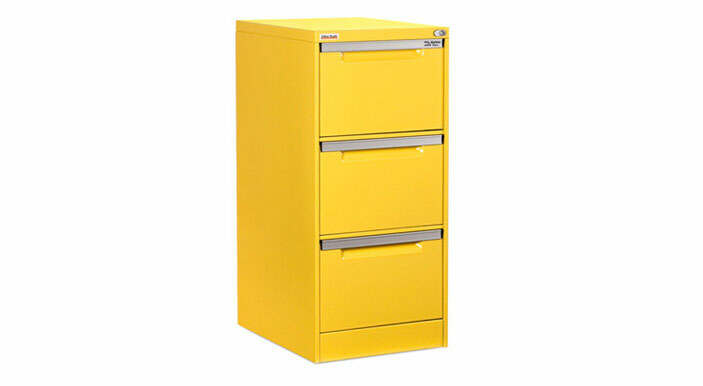 These storage units are designed to save 40% of floor space over conventional vertical filing cabinets. Please call today for an office storage solution appraisal to ensure your storage needs are met and you are maximizing your space.